Description: Six years ago local resident, Shawn Crozier came up with an idea of creating a music fest to celebrate local artists and musicians in Ontario, the Georgian Triangle Music Festival was born. GTMF is now entering in its sixth season and features more than 150 acts throughout Ontario and the region at venues across Wasaga Beach is scheduled June 30th, 2018. Performance applications are currently being accepted until February 28th by visiting their website at georgiantrianglemusicfest.com. This music fest combines the various musical genres ranging from rock, blues, country, hip-hop, jazz and singer/songwriters giving locals, visitors, families and youth an opportunity to enjoy a wide variety of entertainment throughout our community. Joining Dianna on this week's BEACH CORNER is event coordinator and founder, Shawn Crozier who will share the upcoming Georgina Triangle Music Festival. For all the details visit their Facebook, twitter and Instagram pages @geotrimusicfest. Please share this great local program. Six years ago local resident, Shawn Crozier came up with an idea of creating a music fest to celebrate local artists and musicians in Ontario, the Georgian Triangle Music Festival was born. GTMF is now entering in its sixth season and features more than 150 acts throughout Ontario and the region at venues across Wasaga Beach is scheduled June 30th, 2018. 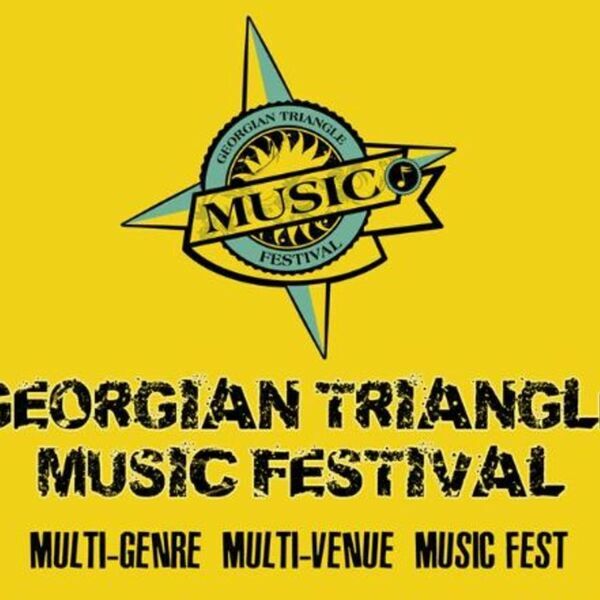 Performance applications are currently being accepted until February 28th by visiting their website at georgiantrianglemusicfest.com. This music fest combines the various musical genres ranging from rock, blues, country, hip-hop, jazz and singer/songwriters giving locals, visitors, families and youth an opportunity to enjoy a wide variety of entertainment throughout our community. Joining Dianna on this week's BEACH CORNER is event coordinator and founder, Shawn Crozier who will share the upcoming Georgina Triangle Music Festival. For all the details visit their Facebook, twitter and Instagram pages @geotrimusicfest. Please share this great local program.